You do not have to attend the convention to participate. It is open to people with a Twitter account (one Twitter account per person) both in the U.S. and International. Good Luck! The contest runs Friday, March 17 to Sunday Mar 19, 2016. The winner will be announced sometime on Monday, March 20, 2016. Click here for my convention appearance and convention commission info. Wonder Woman. Character choice of my Long Beach Comic Expo 2016 Sketch Retweet Contest winner. 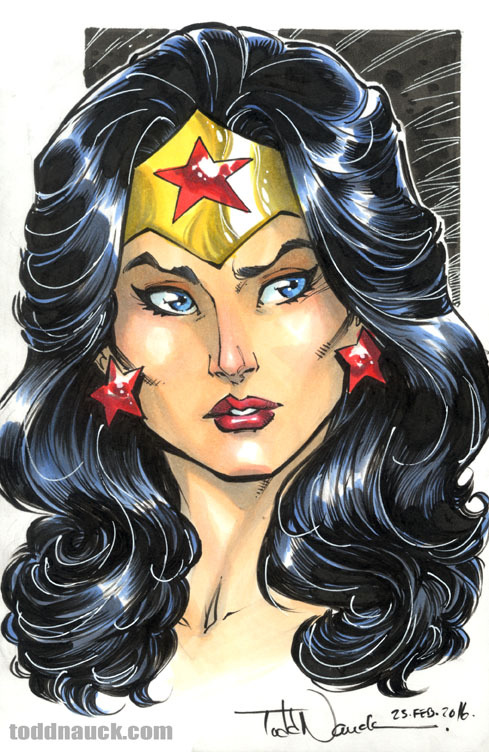 This entry was posted in Uncategorized by Todd Nauck. Bookmark the permalink.